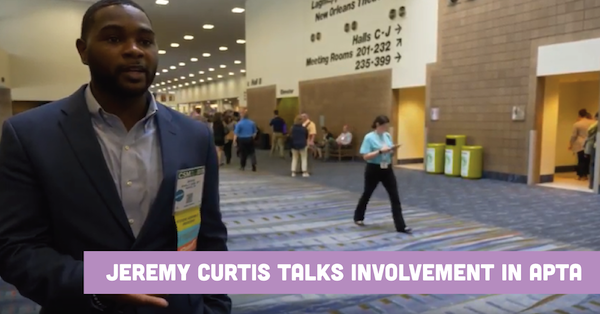 NewGradPhysicaltherapy.com talks with Jeremy Curtis, who is president of the American Physical Therapy Association (APTA) Student Assembly and a third-year PT student at Tennessee State University. According to him, his responsibilities as president include overseeing the operations of the student assembly board, ensuring its efficiency and productivity, and making sure that the board serves the needs of the student body. The application process for the Student Assembly is fairly simple, according to Jeremy: you simply fill out an application (which is available online) and attend the meetings. However, he recommends actively staying involved in the life of the organization. This involves attending conferences, networking with other members, and communicating with the leadership. The more energy you put into the Student Assembly, the more you will get out of it. Jeremy is very optimistic about the future of the APTA; in fact, he says that the conference he’s currently attending has itself driven home to him just how much the Student Assembly has grown. “We are the millennial generation of the APTA,” and it is this generation that makes up the largest share of the membership. This gives Jeremy’s generation tremendous power to influence the direction of physical therapy as an industry. “So, I think the APTA is young, fresh, and moving in a great direction,” he concludes. 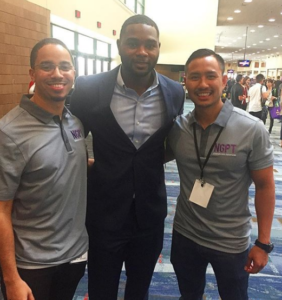 He believes that it is very important to invest in the profession of physical therapy itself if one wishes to succeed in the field, and one of the best ways to do so is to become involved with advocacy through the APTA. Important as such work is, Jeremy points out that it is by no means the only useful activity the APTA engages in. For example, the organization also helps to connect students to accreditation institutions like the Commission on Accreditation in Physical Therapy Education (CAPTE).